The San Bernardino County Sheriff's Department in California sports one of the largest aviation units in the United States. Housed in the San Bernardino International Airport, the unit has a 51,000-square-foot hangar for 15 department aircraft. The Aviation Unit logged almost 4,500 hours of flight time last year, responding to more than 10,000 calls for service, according to The Daily Press. They partnered with the county fire department to complete 265 search-and-rescue operations in 2016 and were also instrumental in combating wildfires in the region. One of their latest successes includes hitting pay dirt when it came to locating dozens of stolen vehicles. Thanks to the sophisticated LoJack stolen vehicle locator built into the system, deputies could detect the presence of vehicles that were in the process of being dismantled. While aviation units are not exactly new to law enforcement work, news like this has spurred on the efforts of other departments to expand their aviation units. Consequently, there has also been a rise in enrollment for airborne law enforcement (ALE) officers. One such example is Officer Mario Hernandez, an 11-year veteran with the Miami-Dade Police Department. Hernandez joined the aviation unit six months ago, fulfilling his lifelong dream of fighting crime from the sky and aiding thousands of South Florida officers on the ground. ALE officers and units are typically responsible for rescues and emergency medical evacuations, routine patrols, tactical-team insertions, prisoner transport, EMS, SAR, ground-unit support and even firefighting. They cover a wide range of duties in their role of protecting and serving from the air. Of course, fighting crime from the sky is no longer just limited to airplanes and helicopters. We have drones to consider as well. 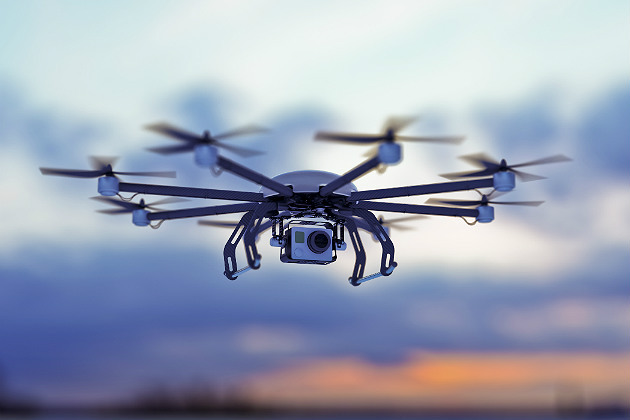 A recent news report shows that drones were instrumental in apprehending a man who robbed two gas stations in Virginia at gunpoint and escaped in a stolen vehicle. According to the Stafford County Sheriff's Office, catching him would have taken more time otherwise. Despite their benefits, a large section of the populace fears that drones will be intrusive and be used to spy on citizens. Departments, like the Pullman PD, have been quick to allay such fears. They have stated that their drone program has been introduced to protect citizens and not for regular surveillance. In fact, most of these videos will be readily available to the public. The Pullman PD plans to deploy these drones for innovative tasks like observing high-risk crime scenes, monitoring natural disasters and helping direct traffic flow after big games and concerts. Just like with aviation units, we find similar partnerships between departments for the use of drones as well. Notable among them are the Elgin, Illinois, police and fire departments, which are sharing their new drones to protect and serve citizens, while containing costs. Rising interest in the Airborne Law Enforcement Association (ALEA) will be highlighted in the Public Safety Drone Expo 2017 that will be held this October in New Orleans.